One of the things I enjoy most about blogging is being able to revisit an artist I've featured in the past to see the latest in his/her studio. 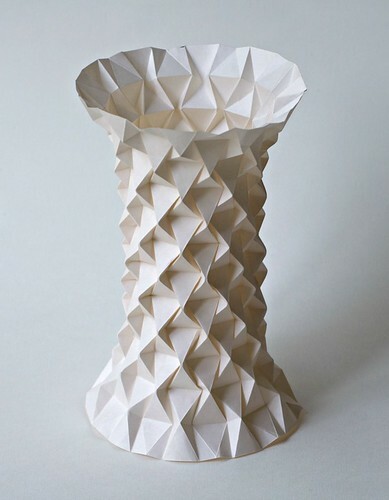 Ilan Garibi of Garibi Origami has continued to translate his beautiful origami tessellations into purposeful home decor. 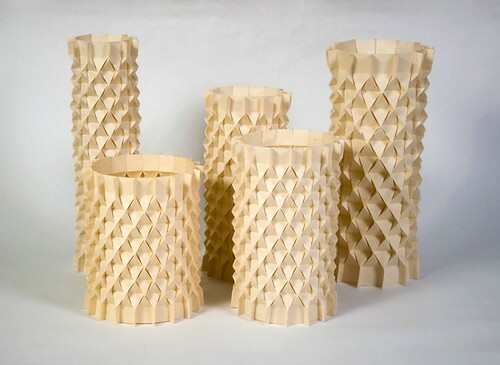 He explained the origin of these heavily textured vases... "This Palmas project started with a paper model. Ofir Zucker, with whom I made the Molecule collection of lamps, saw the models and asked why not make cement vases out of them?" "And why not indeed? As I always like to cooperate and experiment how far I can take my origami, the Palmas series was created. Each vase comes with a glass water holder, as cement cannot hold the water by itself." 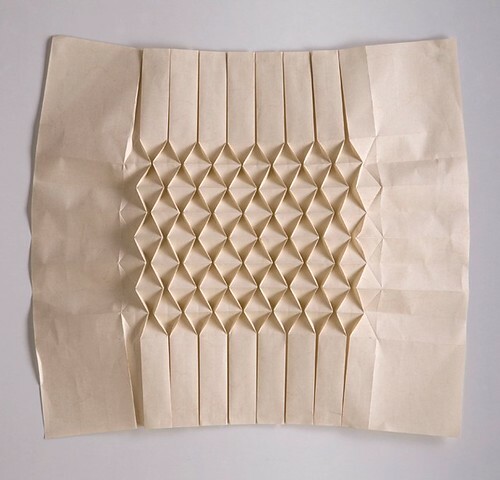 Ilan invented the folding pattern called Origami Diamond Tessellation. 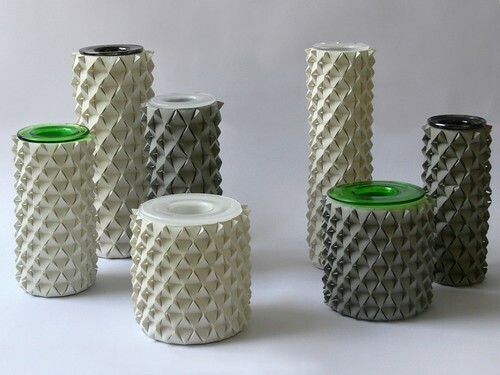 He forms a sheet of rugged paper into the desired vase size and shape, and Ofir then casts it by filling the form with a compound he created. When the concrete has hardened, the paper tessellation is torn away from the surface. The vases are in Talents Design's collection in Tel Aviv. Another of Ilan's projects for Talents Design is laser cut, stainless steel home decor that he folds by hand. The origami effect reflects light between each fold and is considered the first metal tessellation in the world. 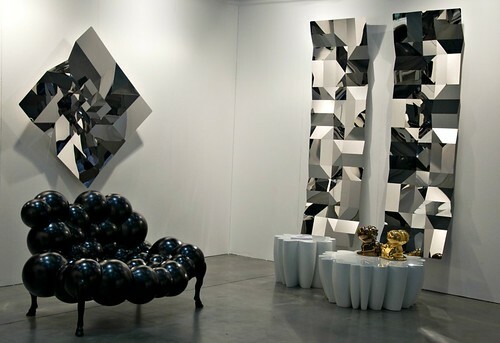 These striking examples were shown at MI-ART, the Art & Design Fair in Milan in April. Ilan's website is Garibi Origami and his Etsy shop is also Garibi Origami. Follow his newest projects on Facebook and Flickr. I love these shapes. Thank you for writing about them. Awesome creativity and matching business acumen!! Really great idea. The vases look stunning .